Original unframed watercolor, inspired by The Beatles song "Baby You Can Drive My Car". 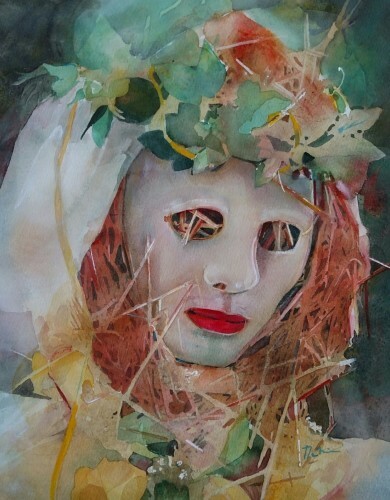 Straw Rockstar is a combination of straw, cloth circling a mask, silk roses & greenery wreath atop the head building this fashionable surreal imagery. 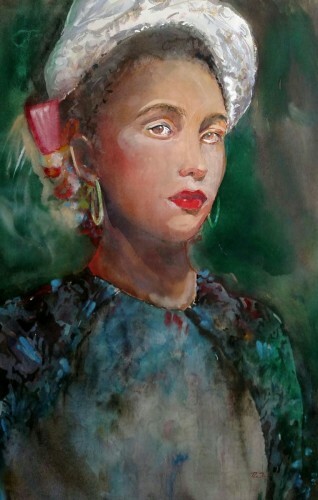 Original unframed watercolor, portrait of Marie Laveau's House of Voodoo shopkeeper in New Orleans. 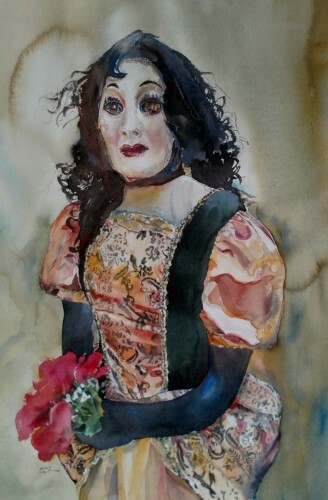 Original unframed watercolor, inspired by The Beatles song "Eleanor Rigby". Finally Eleanor has come back to greet her groom and have the wedding day of her dreams! 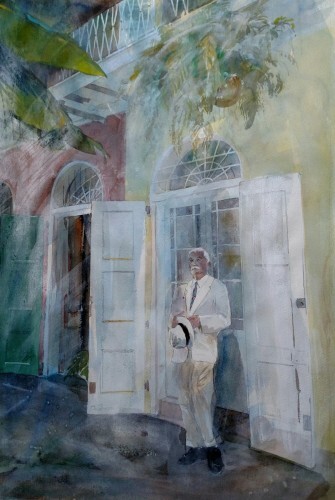 Original unframed watercolor, apparition of ghostly image of famous writer in historic Pirates Alley, New Orleans. Many locals say he is known as a frquent visitant to this most haunted city. 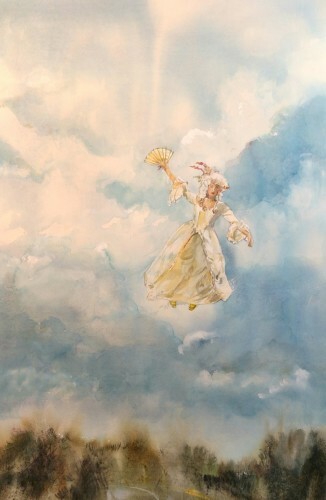 Original unframed watercolor, whimsical art inspired by The Beatle's song "Norwegian Wood (This Bird Has Flown)". 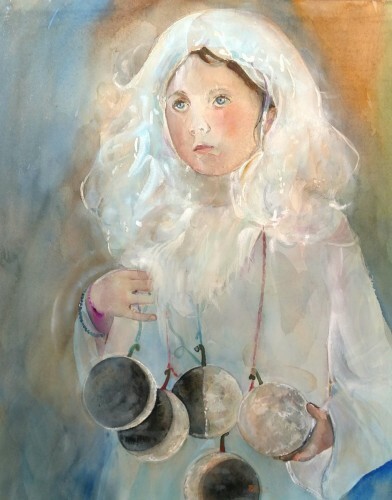 Original unframed watercolor, young moon merchant born from artist's imagination. This piece is inspired by "Clair d Lune", a famous piano musical composition by Claude Debussy.